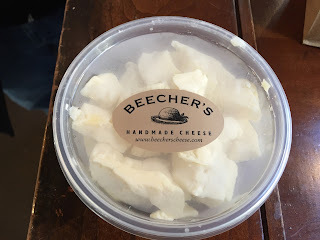 I read that Beecher's in Flatiron District has good cheese curds and we went there to try some because we rarely find squeaky, firm, and chewy cheese curds in the states. Inside of the shop smelled so divine as not only they sell dairy products, but also they serve food cooked in the kitchen. There's a glass-walled section and they're making cheese. When we're there, they're shredding coagulated cheese in the huge tub. It's a pool of curds. 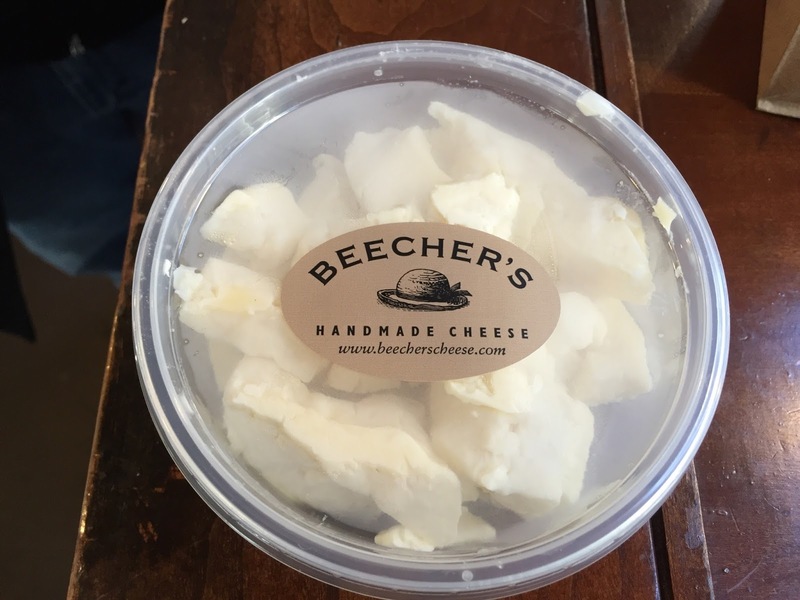 We bought a cup of cheese curds, and they're sitting in the refrigerated rack unlike Quebec, they have them at room temperature. 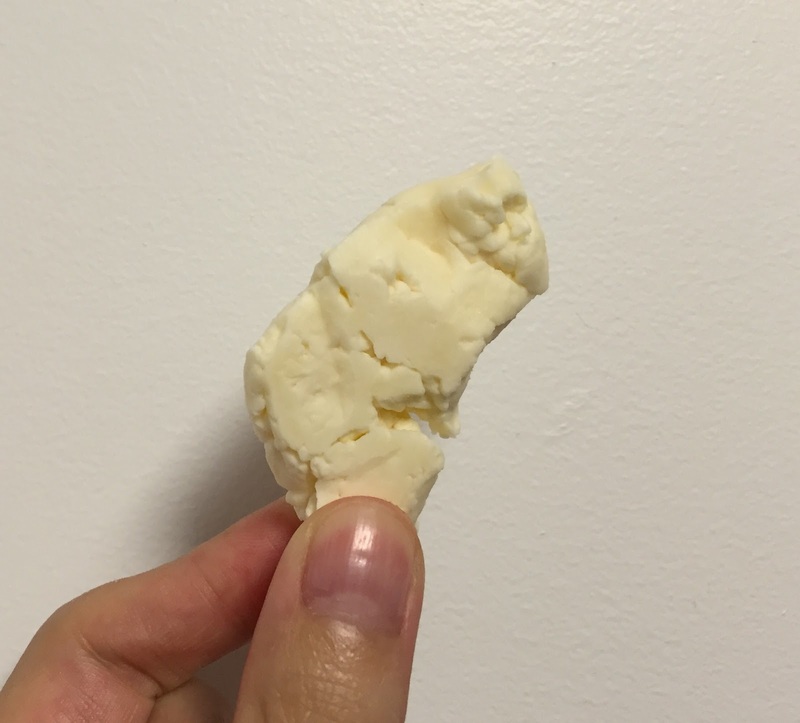 Each cheese curd was large and the outside was just firm though the center had long-lasting squeaky texture. When we let them sit at the room temperature after taking out from the fridge, the chewiness and firmness became stronger and they're really enjoyable. Finally we got the good cheese curds and of course we made poutine at home!